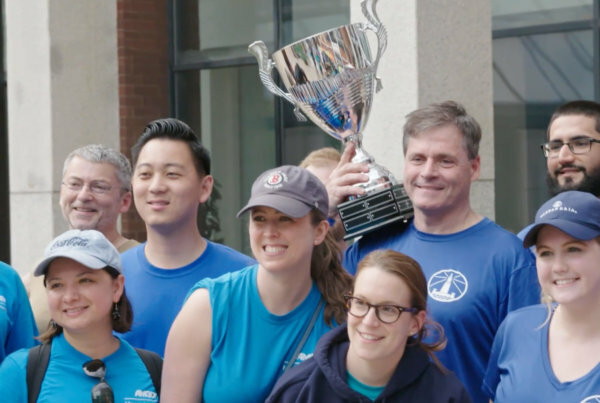 How sports have made our Sports Team stronger | Conventures, Inc.
We love our Sports Team here at Conventures, and we know we are not alone. They do big, creative, fun things every week and we love them for it. 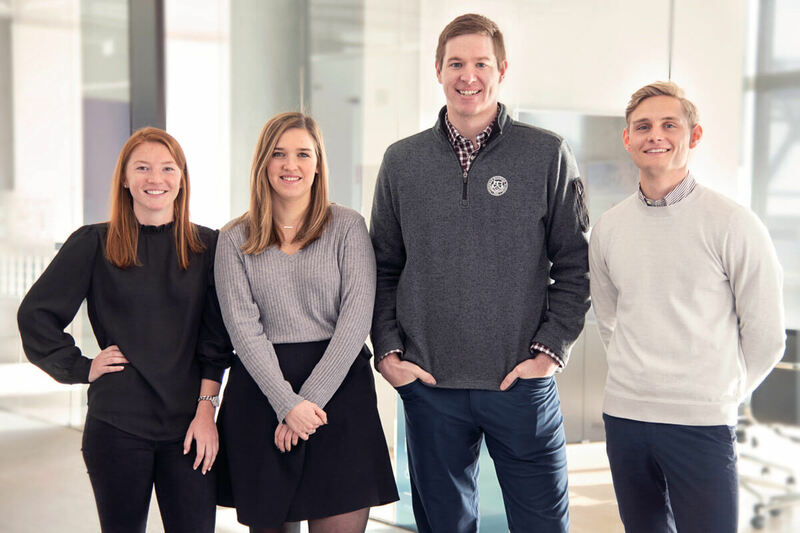 What you may not know is that each member of the Sports Team, Brooke, Annie, David and Ben (L to R, above), all have sports in their blood. Each of them played a sport at the collegiate level. And while playing a college sport is not a prerequisite for joining the Sports Team, it’s no surprise to us that such a strong team has deep roots in athletics. 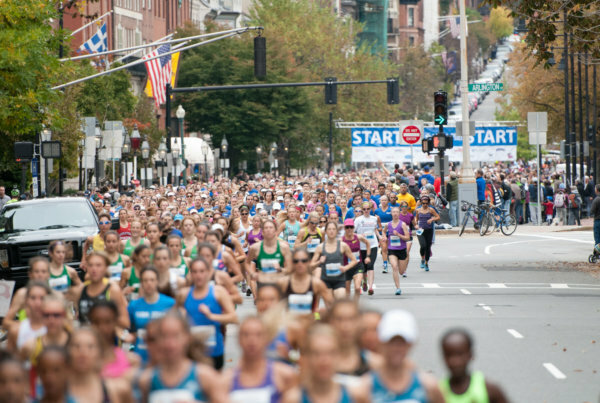 We asked our Sports Team how their competitive experiences have made them a stronger unit. 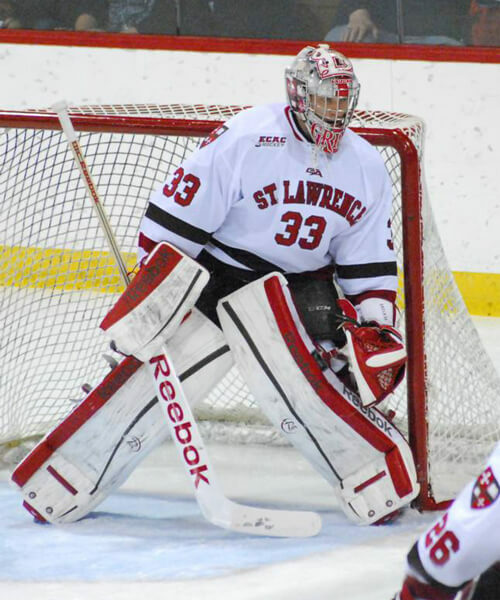 “You never know what exactly is going to happen on event day,” says David Grilk, Director of the Sports Team and Saint Lawrence men’s ice hockey alum. Our Sports Team have spent the majority of their lives getting prepared. While things have certainly changed—watching film has been replaced with taking wrap up notes and team debriefs, and they’re sporting polos instead of jerseys—one thing is for sure… on game day (event day) we sure as hell want them on our team. 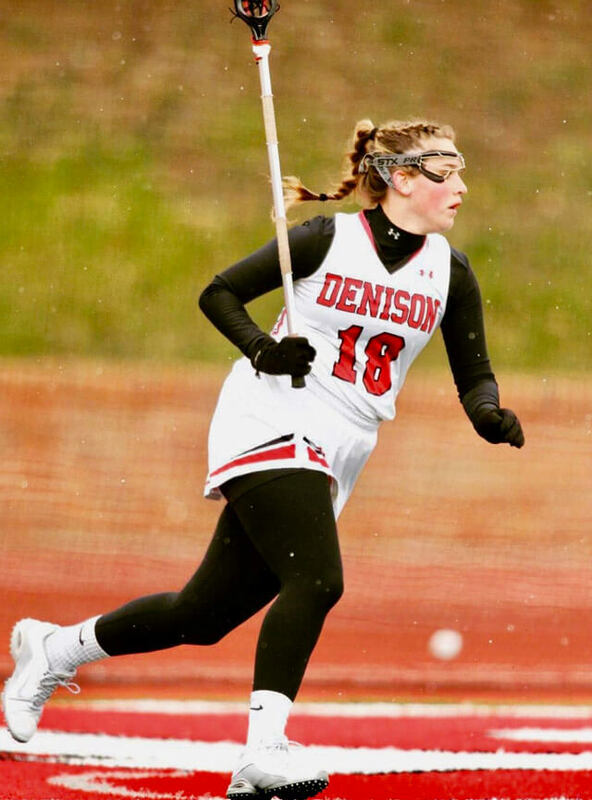 “Mistakes are inevitable but without accountability, we can’t honestly work to become better…” says Account Coordinator Annie McMahon, a former women’s lacrosse captain at Denison University. “The saying goes, ‘you are only as strong as your weakest link,’ and though it’s cheesy, it’s true. Every early morning practice, fitness test, and freezing cold game most likely started with the thought of ‘wow I really don’t want to do this.’ But we had a goal, and to reach it you had to show up, give your best and make sure the girl standing next to you on the field did too.” As captain her senior year on a team that was league champions all four years, it’s clear Annie is no stranger to giving her best. Having grown up as athletes, all our Sports Team knows is accountability. Engrained within them is more than an understanding, but rather an appreciation for the direct impact their actions have on their teammates (coworkers). They know the role they play and own their responsibilities. 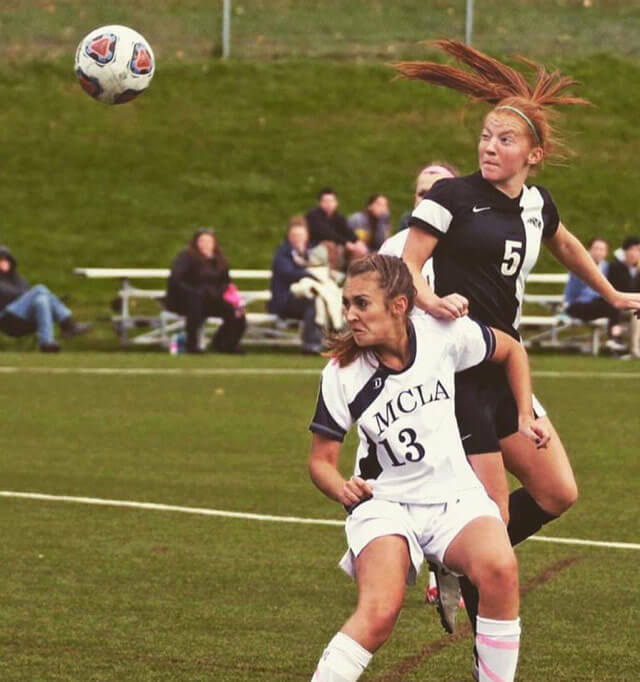 “I’ve always made the comparison between events and a [soccer] game, but it wasn’t until I explained this to one of my coworkers that I realized not everyone’s brain works this way…” said Account Coordinator Brooke Maher, women’s soccer captain at Nichols College. “Considering I played soccer for 17 years, I guess that’s where my brain goes first. The competitive atmosphere, requirement to perform under pressure, understanding your role… it’s really a familiar and comforting situation for me. Your coworkers are your team, your preparation is the practice, your event is the game and reflecting on what went well or what could improve is the film. I could write a book with the corny metaphors. But just like any winning team, you must establish goals,” Maher explains with the same enthusiasm we’re sure she brought to the field as soccer captain. 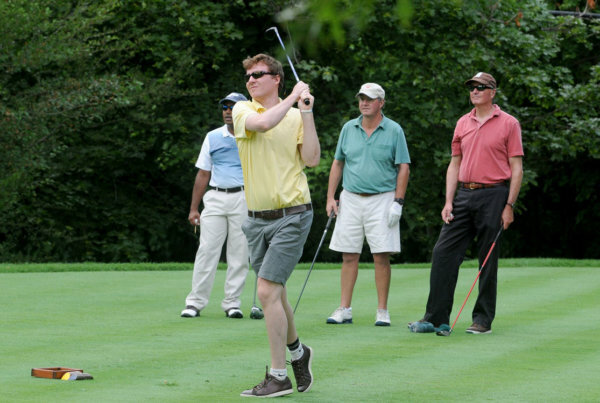 It’s safe to say with our Sports Team, we’ve got a goal-oriented team on our hands. Why does this matter? Because it means they’re hungry. They determine the goal for each event, and the steps necessary along the way to bring that goal to fruition, and then they give it their all. “I was brought up with the word TEAM standing for Together Everybody Achieves More…” says Ben Straw, Assistant Account Coordinator and newest member of the team. 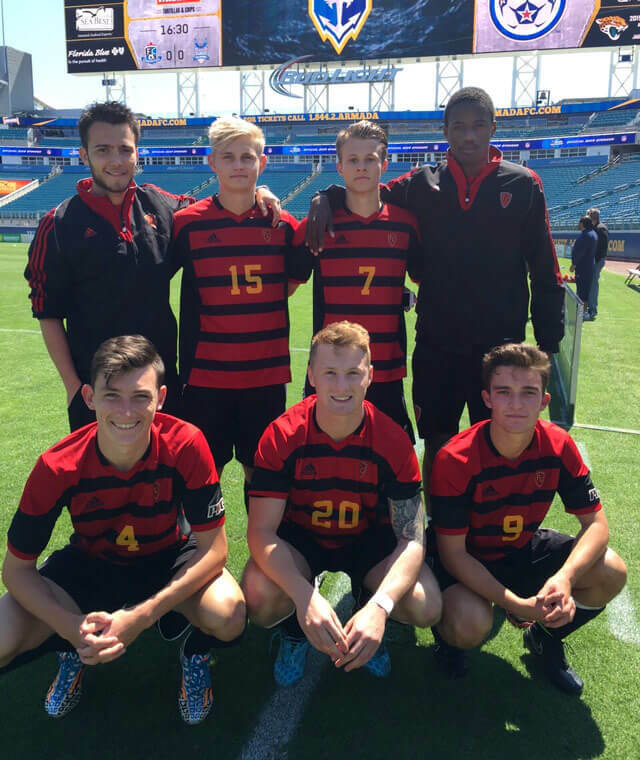 After playing as a semi-professional footballer in his native England, Ben went on to join the men’s soccer team at Flagler College in Florida. There is no ‘I’ in team, according to the old adage. Our Sports Team, as athletes of team sports, understand the serious commitments and personal sacrifices that need to be made for the good of the team. This might mean staying late to finish packing the truck to make sure that all event day essentials are accounted for. It might mean letting a teammate take the lead because you know they have more experience. Along the way, we often forget these things—the importance of being a team player, and what it really means to be a good teammate. But with more than 30 combined years of team sports, it’s safe to say putting the team first is in our Sports Team DNA.